I made my first working bell siphon in 2008 after few months of trying various design to get it working correctly without the uncertainties of the siphon that were use during that period. It is no secret that I am constantly looking for ways to make it more reliable and easier to make. 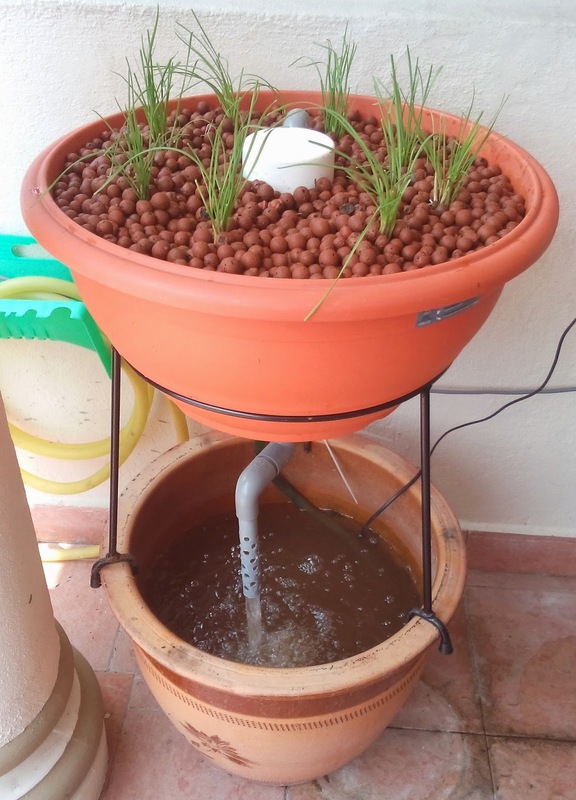 Reason for it is, if I could make a trouble free siphon and easily made then more people will take up Aquaponics knowing that it is not that hard to do. 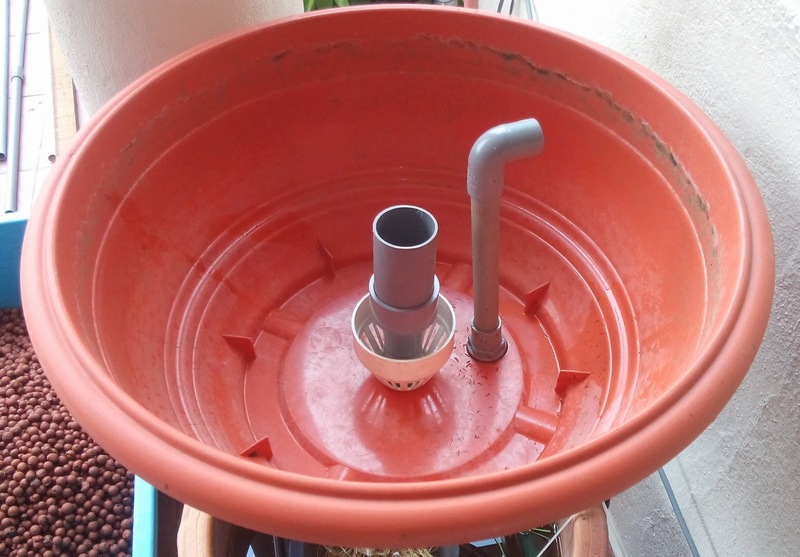 I had made this siphon a year back in trying to reduce parts required to make a siphon, the part that being eliminated is the inner bell and what I did was to make the strainer itself as the bell enclosure for the standpipe. I did called this siphon as "Bell Less" but someone pointed out that technically it still has a bell in the form of the outer case. So I decided to use the name "Strainer Bell" Siphon as it was called initially last year. 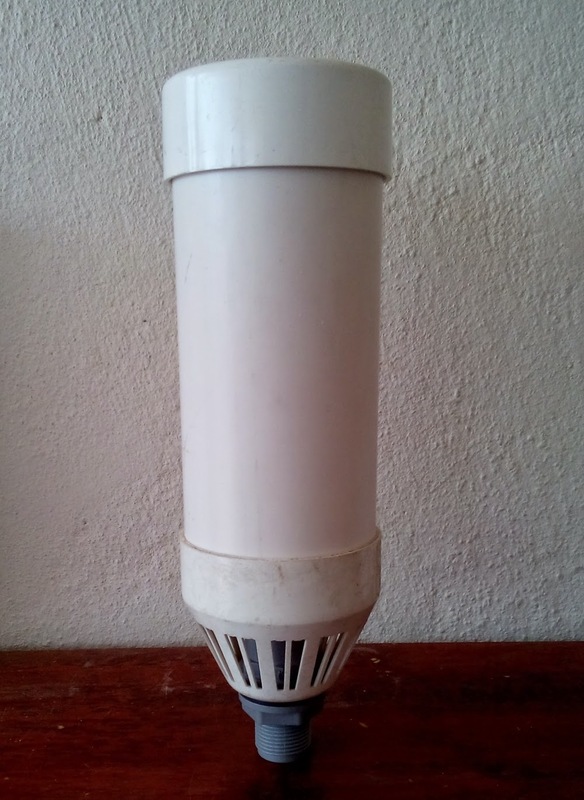 That design still require some drilling work to make the strainer and it is quite a laborious to do, it also require some degree of skill doing all those holes. The current design of this siphon make do without those drilling, instead I use a ready made venting cowl for a 3" uPVC pipe as the strainer and as the siphon outer case holder. 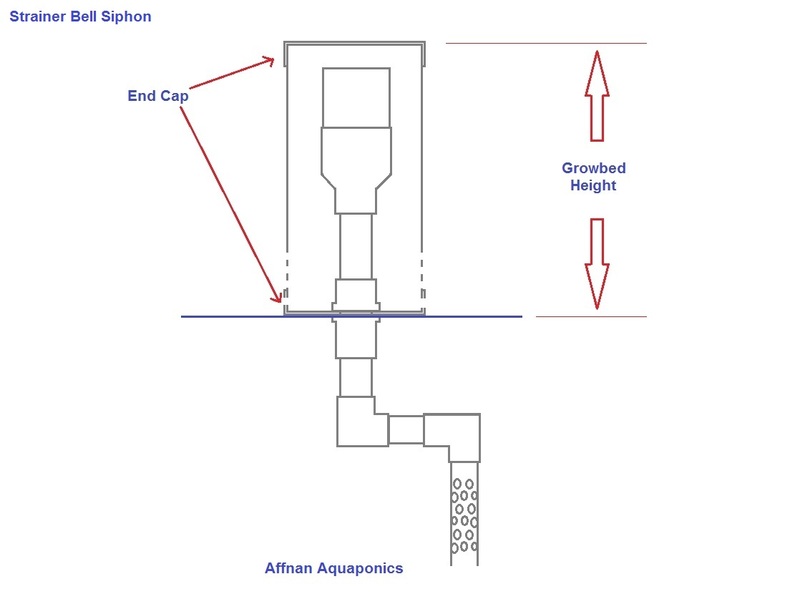 The siphon shown is a 20 mm standpipe size and the standard 25 mm standpipe should be able to be accommodated within the same outer shell. All that is needed for making this siphon is to cut a few pipes and to drill one large hole for the stand pipe. This has made the siphon easier to be made. 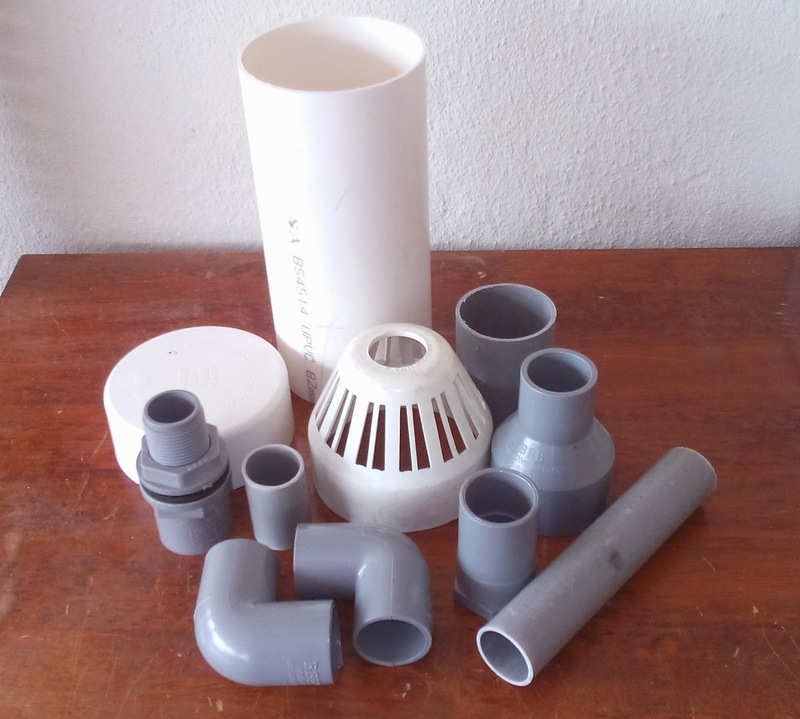 All parts are shown below and they are readily available from most local hardware shop in Malaysia, except the 3" endcap which need to be source since not all shops has them. 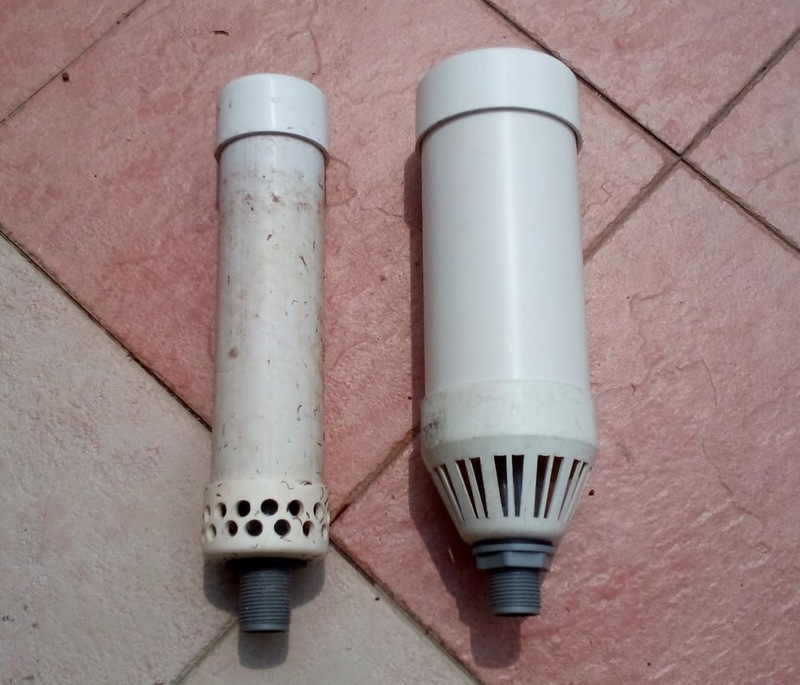 As a comparison below are two siphon, the one on the left was the older Strainer Bell and the one on the right is the latest design to replace the old. The above siphon were use on my ornamental set and been running for the past 2 months or so without problem. I am further improving the set by using this newer siphon on right. 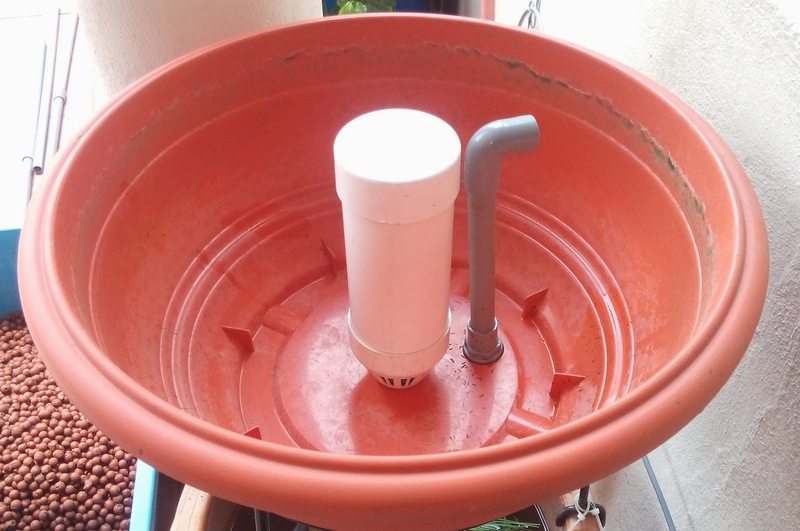 Below shows siphon strainer installed to the growbed with standpipe extender in place. Completed siphon below shown outer casing and capped. Finally Ornamental set completed with the new siphon in operation. Video explaining the siphon that I posted earlier below. 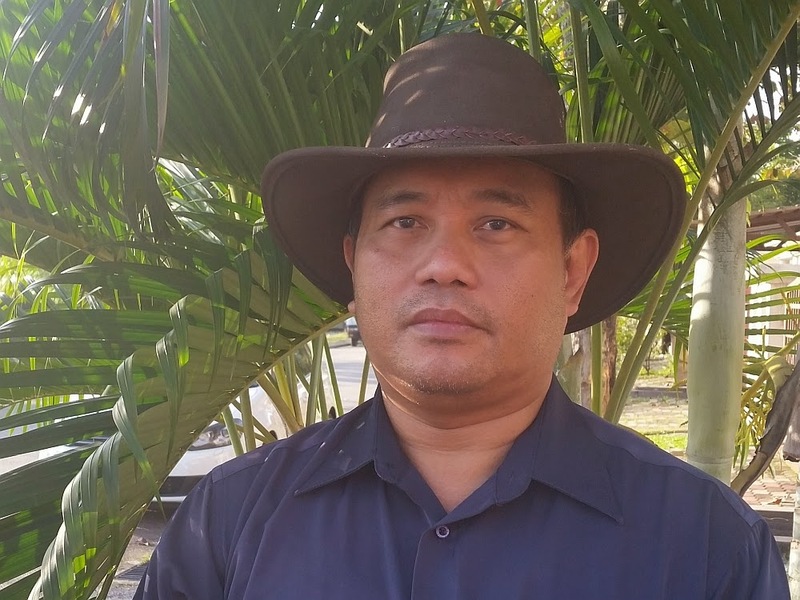 assalam bang ..nak tanya.. kat mana saya boleh dapatkan leca ball dengan jumlah yg banyak mcm 2 atau 3 guni. W'salam You can get it at Wellgrow Horticulture at Lot 19 Selangor Green Lane. GPS as follows and put the coordinate in Google Map or punch into WAZE. what is the purpose of the standpipe extender beside the bell siphon? 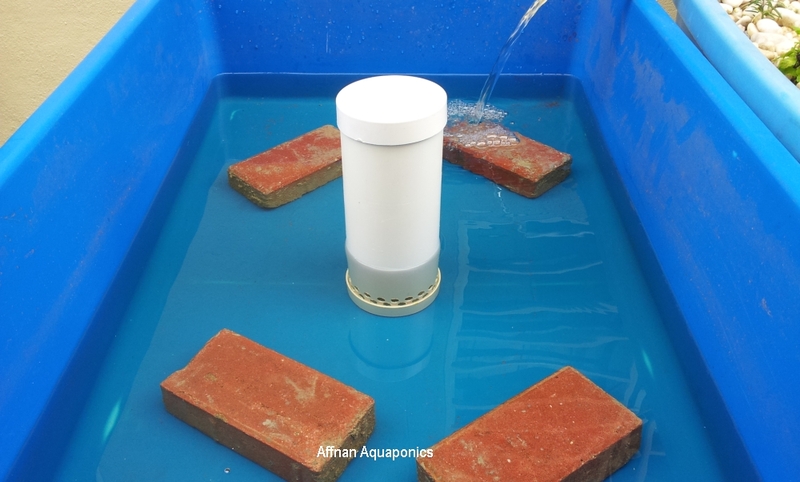 It is to adjust water level depending on how thick the growbed. Isn't the point of the media guard to keep the media and roots out of the siphon section? Or is root clogging not that big of an issue? how much is the siphon? I’m so interested to build an aquaponics system in the rooftop of my house. 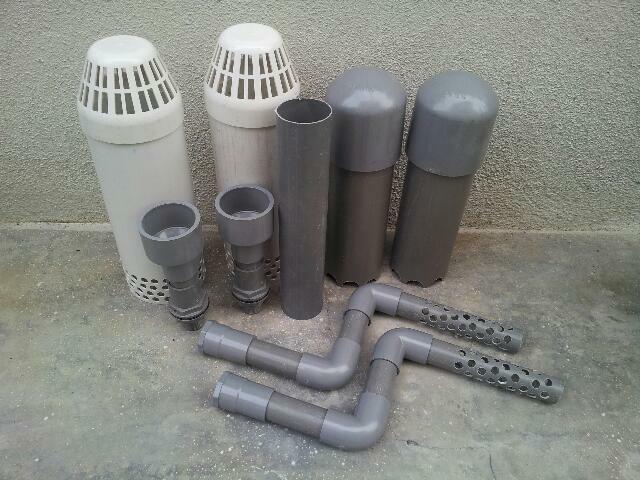 But one of your bell siphon’s parts, the vent cowl, is not available even in the big home depot here in the Philippines. I wonder if you can send me this part. It would be better if you can with the whole set. Tell me how much and Im willing to pay. Please. I know this is a lot burdensome to you. I really love your style. Affnan, Alsalam Alikom from Abu Dhabi.